By Mary Loritz , May 10th, 2018. 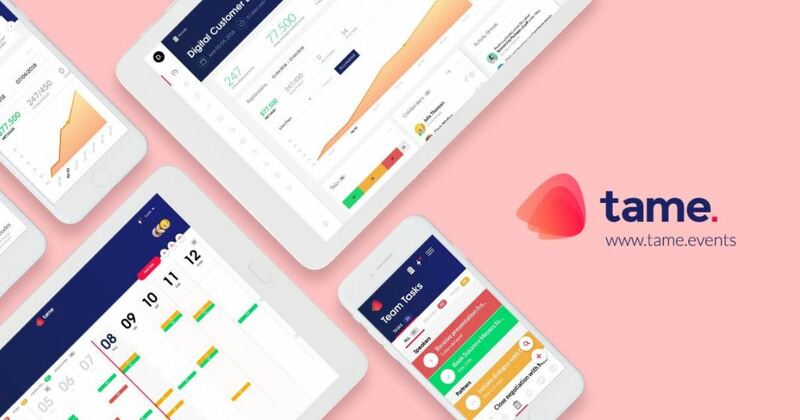 Denmark’s Tame, a new SaaS tool to revolutionise event planning, has raised €550,000 from a group of Nordic business angels. Investors in the round include Anders Pollas, Gregers Kronborg, Hampus Jakobsson, Jacob Wandt, and Tommy Andersen. According to Tame, 90% of event planners are still stuck using cumbersome spreadsheets, or an array of project management tools, which the startup intends to replace with its multifaceted event planning platform. Tame’s platform has a simple and easy-to-use interface that allows planners to visualise and manage all of the different aspects of events, including task assignment and deadlines, speaker management, ticket sales, and of course the programme itself. Projects can also be easily shared to collaborate with coworkers and external partners. Tame plans on using the new funding on product development, increasing its sales and marketing initiatives, and scaling geographically. The startup is currently used in over 70 countries, and has ambitions to scale to every country in the world by mid-year.